Here are the best kali linux compatible wireless adapters and usb dongles for 2018. Kali Linux is a Linux distribution mainly used for Penetration Testing, accessing N/W Security & Ethical Hacking. The process of choosing a wireless adapter or usb dongle to work with Kali Linux is not an easy task. It's just because the Operating system doesn't support all kinds of wifi adapters. For example Pentesting requires a card to go into monitor mode and do packet injection which all cards can't do it. The Card's chipset and drivers is what determines if an adapter is compatible with kali or not. Below I have listed out the most popular chipsets for Kali linux and Wireless adapters compatible with them. They work well for Penetration testing too. 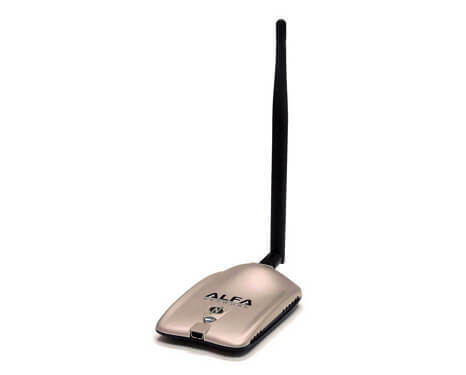 Alfa AWUS036NHA is a best wifi adapter for pentesting. For penetration testing, Atheros AR9271 is a good chipset and you can go for Alfa AWUS036NHA card if you plan to run Kali as VM. Just get the job done without hassle. Includes 4" detachable antenna of 5 dbi which can be upgraded up to 9 dbi. Works with 64/128-bit wep, wpa, wpa2, tkip, aes security protocols. Supports Windows 2000, XP 32/64, vista 32/64 & Windows 7 Platform. So compatible with Kali Linux running as VM on these hosts. Another great USB Desktop Wireless Adapter for cheapest price. TP-Link TL-WN722N uses AR9271 Chipset and has great range of up to 150Mbps. The card is easy to set up and works perfectly with Kali Linux. One of the best wireless dongle for pentesting. 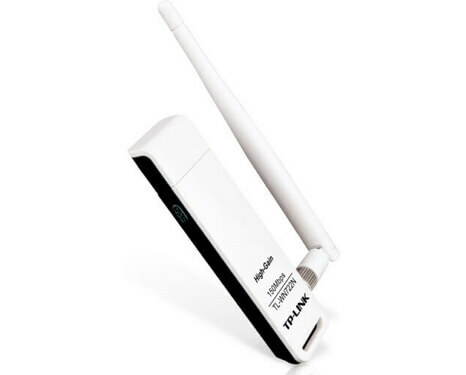 This 2 Watt 802.11n compatible Wi-fi dongle is quite powerful and supports Ralink RT3070 Chipset. It has very good range and perfect for packet monitoring. 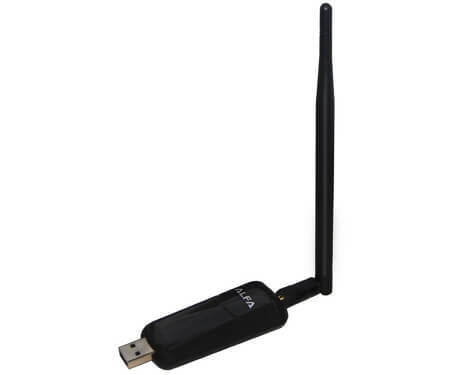 This Wi-Fi Dongle is similar to Alfa AWUSO36NH in specs and covers long range. 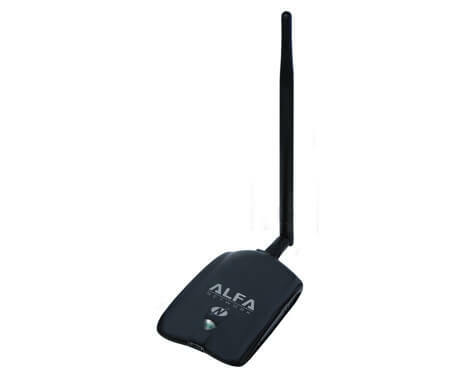 Alfa AWUS036NEH is exceptional for penetration testing and is good at packet injection and monitoring. Compatible with Windows 2000, 32/64 bit XP, Vista, Windows 7, Linux (2.4.x/2.6.x), Mac (10.4.x/10.5.x) Power PC& PC. 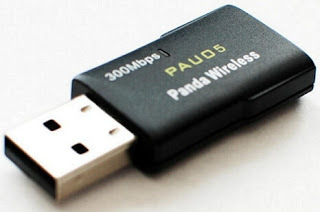 Panda 300mbps wireless n usb adapter is very reasonably priced and works with 802.11g/n standard and offers a data speed of up to 300 Mbps. It is exceptionally good considering the price but make sure to download and install the latest driver (alone) for Windows 7 and leave the rest of the setup to Windows itself. Supports 32/64-bit Windows 8/7/Vista, Mac OS 10.4/10.5/10.6/10.7/10.8/10.9 and latest version of 32/64-bit Mint, Ubuntu, Fedora, openSUSE, etc. 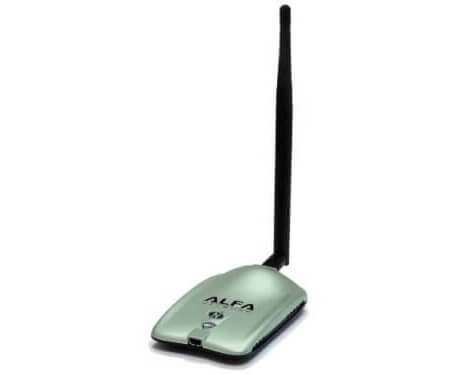 Alfa AWUS051NH is little expensive but has amazing signal reception and works well on Kali Linux and in 5Ghz Monitor mode. Compatible with Windows 2000, 32/64 bit XP & Vista, Linux (2.4.x/2.6.x), Mac (10.4.x/10.5.x) Power PC& PC. What Makes a Wireless Adapter Compatible with Kali? Kali is a popular Linux Distro commonly used by security and penetrating testing professionals. Not all wireless adapters are made to work with Kali Linux. Only the drivers and chipsets decides if they are compatibile with the OS or not. In addition, if you run it as a VM, the USB adapter must also be compatible with the host operating system. Any of the above recommended devices will be good for pentesting, but you are called to decide which one is right for your configuration. Long-range adapters with big dBi antenna are great for distance but not exactly compact. On the other hand smaller ones with built-in antenna are good for staying low profile. So these are the best wireless adapters and usb dongles for kali linux. Though all these adapters works well with Kali, just make sure if it is the right one for your environment. For example if you wish to run Kali on Virtual box in Windows 7 host then make sure the card is compatible with Windows 7 OS. Also you must be cautious about the coverage range. Antenna with bigger dBi would be better for longer range. This helps you avoid future trouble. If you find this useful please share it with others to give them good suggestion. All are N wifi do you know any modelf compatible with kali that is ac?